The Peoples Democratic Party (PDP) has asked Nigerians not to take the ruling All Progressives Congress (APC) by its word. Dayo Adeyeye, national publicity secretary of PDP, said this in a statement on Sunday. Adeyeye said the APC had nothing more to offer Nigerians, and that the party only “relies on unbridled propaganda as a ploy to deceive Nigerians”. He also said it was amusing for the APC to claim the party was opposed to restructuring country. 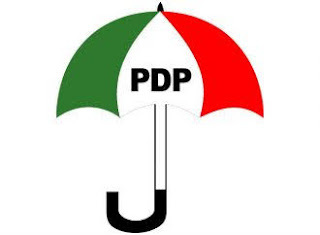 According to him, the commitment of the PDP to restructuring the country is obvious in the 2014 national conference called by former President Goodluck Jonathan, of which recommendations were made for an amendment of the constitution. He said the APC was absent at the conference and had refused to implement the recommendations from the exercise. Adeyeye said the new interest of the APC in restructuring was a plan to hoodwink Nigerians ahead of the 2019 elections, because “restructuring was never a part of the party’s 2015 campaign promises”. He added that the interest of the PDP is “support for the restructuring of the system of governance in the country to ensure more functional and efficient governance at all tiers of government”.